What would normally be spring rains have come late this year with lots of rain and storms along the Upper Mississippi River. Flooding that would be more common in April and May is occurring now or expected in the next week or so, mostly above the confluence of the Mississippi and Missouri Rivers. This flooding creates problems for residents and businesses along the River but for the egrets and herons it seems to have created opportunities for summer feeding that are not common. 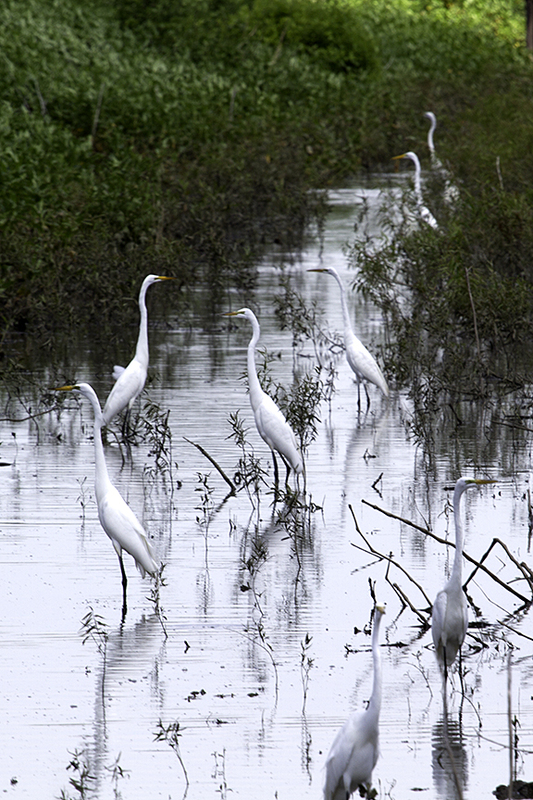 These egrets were on a small canal in the Two Rivers National Wildlife Refuge.